This BPA-free plastic water bottle features a twist locking mechanism to prevent unwanted spills, and comes with a removable key chain handle for easy carrying. Also includes a multi-purpose tray in the top, use for fruit infusion or to hold a tea bag! 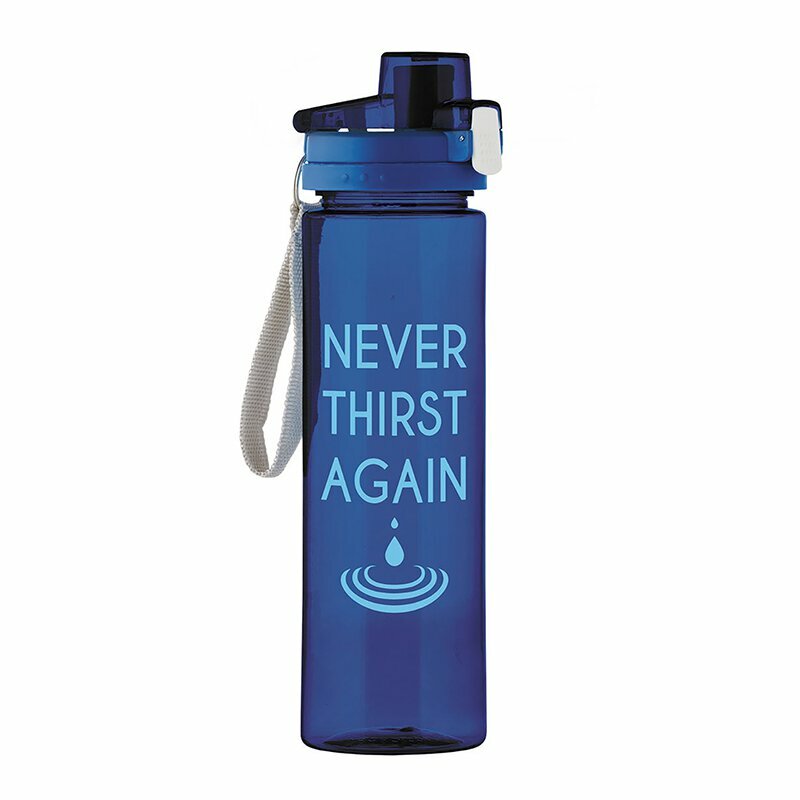 Inscribed with the words, NEVER THIRST AGAIN, it makes a great gift for men's and women's groups, or as a giveaway for retreats and charity walks. Sold in quantities of 4 per pack.